Chicago area students join in nationwide protests over access to guns after the latest mass school shooting. 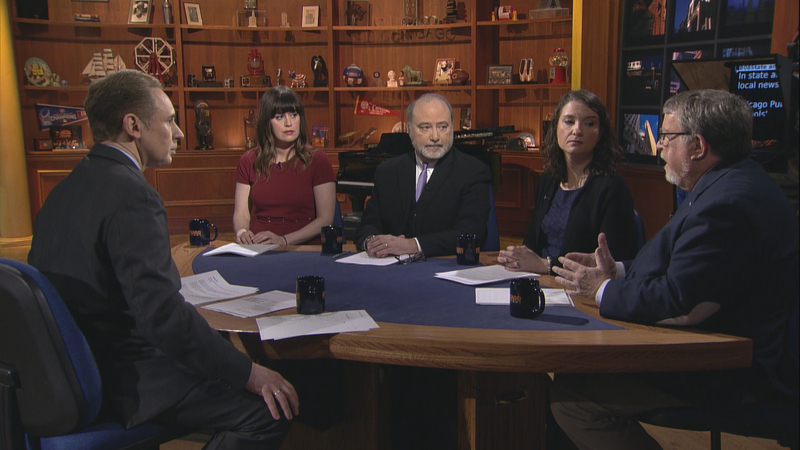 House Speaker Mike Madigan and his powerful political organization grapple with the #MeToo movement. Billionaire Democratic candidate J.B. Pritzker hits a new self-funding milestone in his race for governor. Former Chicago Police Superintendent Garry McCarthy accuses Mayor Emanuel of a “cover-up.” Sinclair plans to sell WGN to earn federal approval of its Tribune Media takeover –but there's a catch. Lake Forest's Hilary Knight helps the U.S. Women's Hockey team win Olympic gold. And as spring training games get underway, will baseball pick up the pace of play? The conversation continues in our web-extra video. This week, Arruza and guests discuss racist behavior at sporting events after the Blackhawks eject and ban fans who taunted a black player.